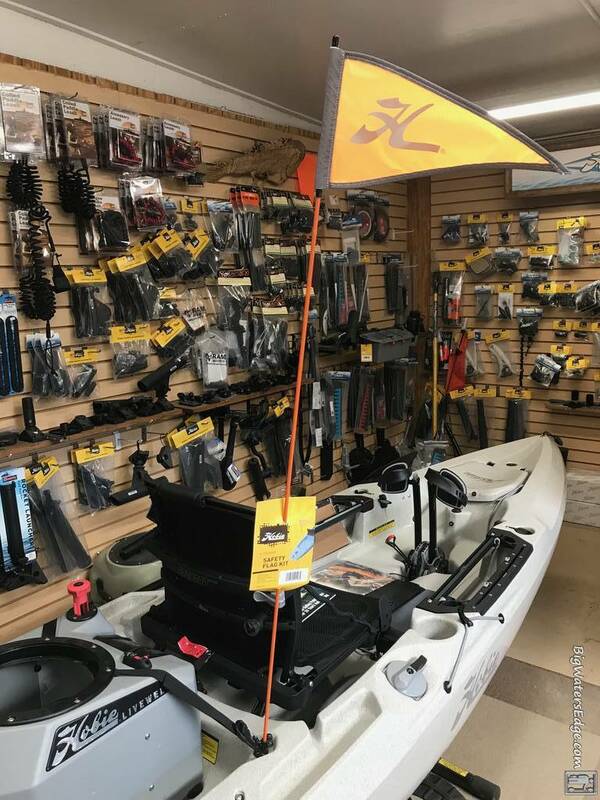 Be seen on the water! A triangle safety orange flag with reflective piping. The flag stands out from the pole without wind. 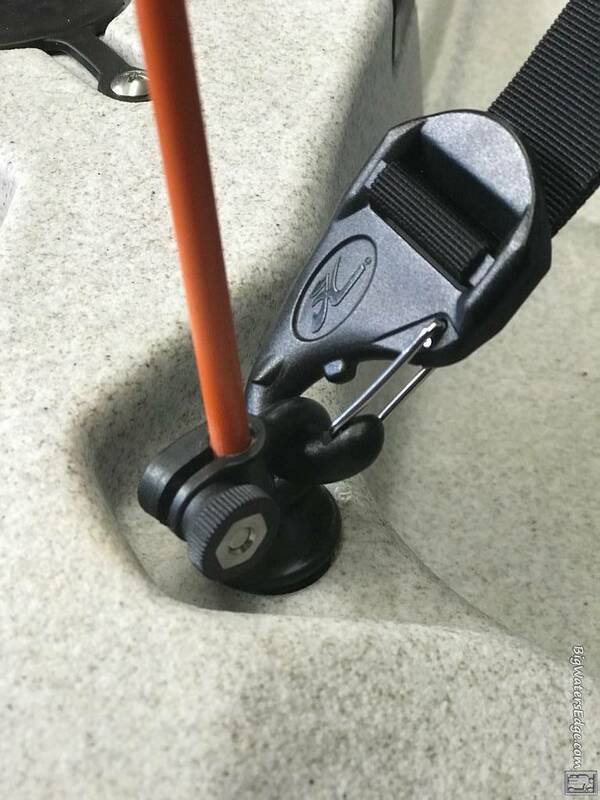 Simple, easy to install and remove from the kayak and at a great low price! This new flag system uses the Hobie threaded fittings as the mount point. Simply remove one of the threaded fittings in the cargo area and install the specially designed flag holder fitting in it’s place. The pole is held by a clamping thumb screw. When removing the flag, loosen the thumb screw and pull the pole out of the fitting. The threaded fitting remains in the kayak. The fitting also includes an eye to route the cargo bungee through. Does it come with the holder for $19.99? Can it mounted on inflatable? Can it be installed in 2015 Outback? If so please reserve one for me. It does come with the hardware in the second photo. Inflateables only have D rings and not threaded inserts, so not designed to work on them. Yes it will work on any Hobie that has existing threaded padeyes, you just replace one with the supplied threaded insert. When do the BWE pennants come.out?